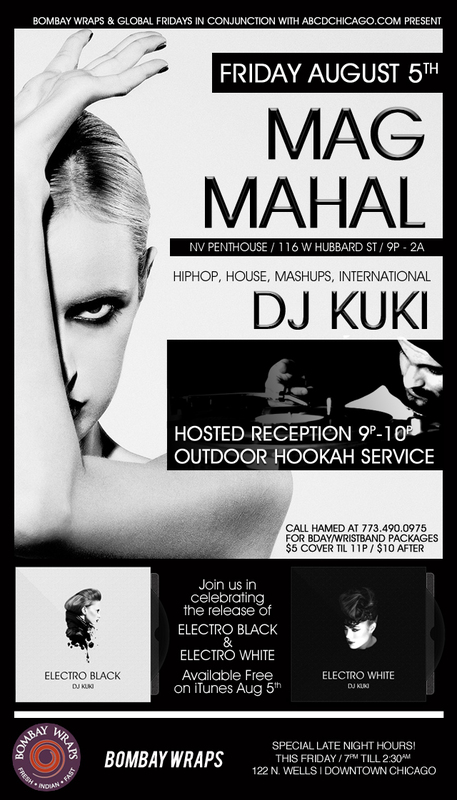 Special guest, DJ Kuki fuses Hip-Hop, Indian, House, and Top 40! Sponsor, Bombay Wraps open late! Friday from 7p-2:30a. 122 N. Wells. 21 to enter. Valet parking. 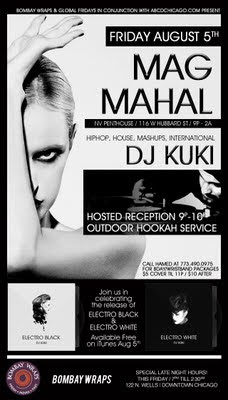 Call Hamed @ 773-490-0975 for wristbands/bottle service.